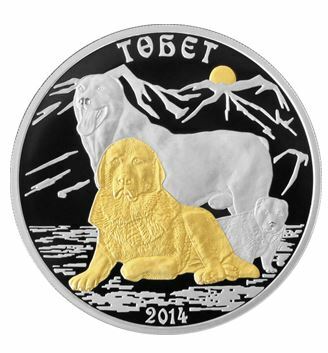 Tobet is an ancient name of Kazakh national sheep-dog. Rock paintings on the territory of Almaty region indicate the existence of the Tobet breed on the territory of modern Kazakhstan dating back more than 4 thousand years. 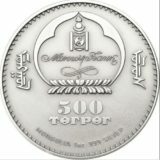 The modern Tөbet is a symbol of the unique ethnic and cultural heritage of Kazakhstan, a witness of the entire Kazakh history and culture. 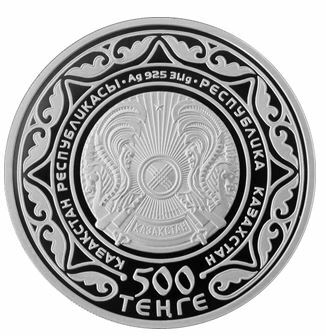 Obverse: face value of the coin — «500», and inscription «TENGE» in the lower sector; an image of the state emblem of the Republic of Kazakhstan, framed with inscription «REPUBLIC OF KAZAKHSTAN»; «Ag 925 31.1 g» means metal, standard of coinage and weight; protruding edge along the circumference. Reverse: An image of a Tobet family against stylized mountains and rising sun. 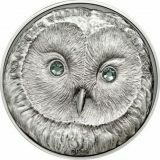 The images of the sheep-dog on the foreground and the sun are gilded; an inscription «TOBET» in the upper and number «2014» in the lower sectors; protruding edge along the circumference.